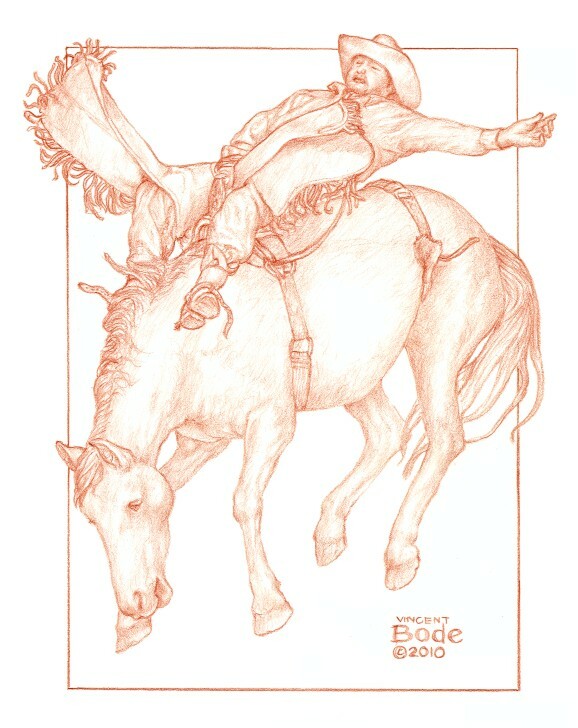 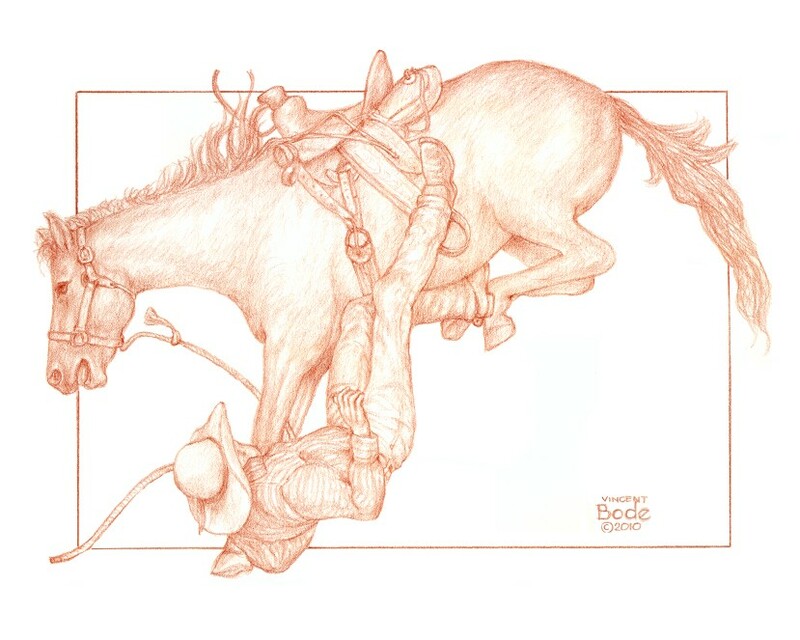 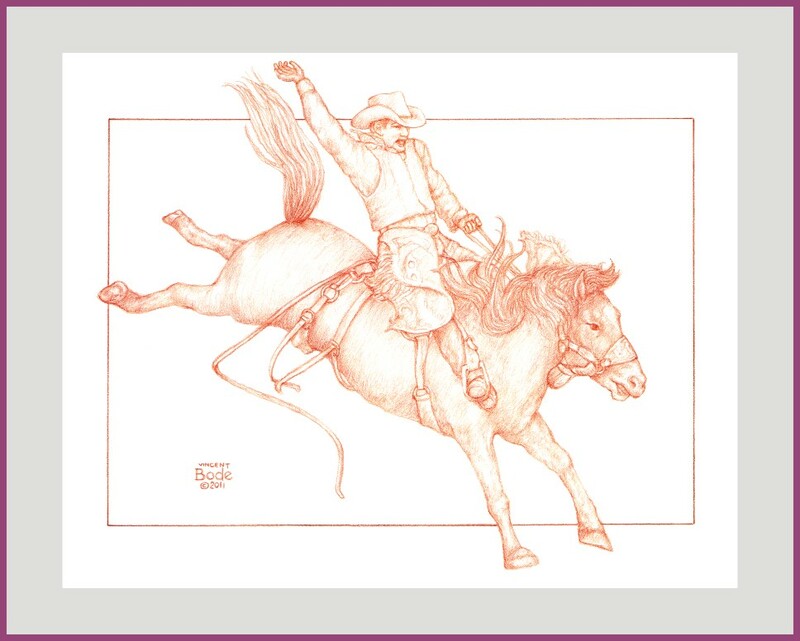 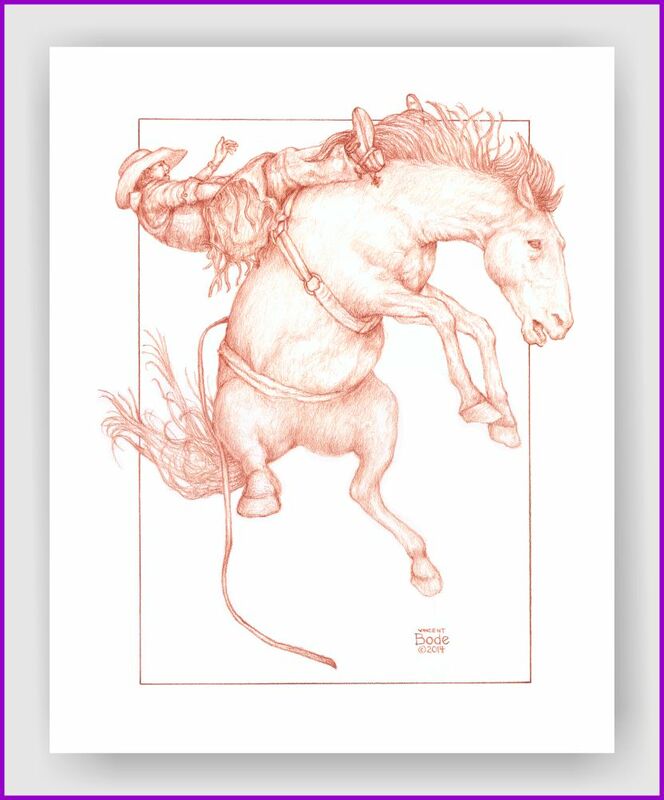 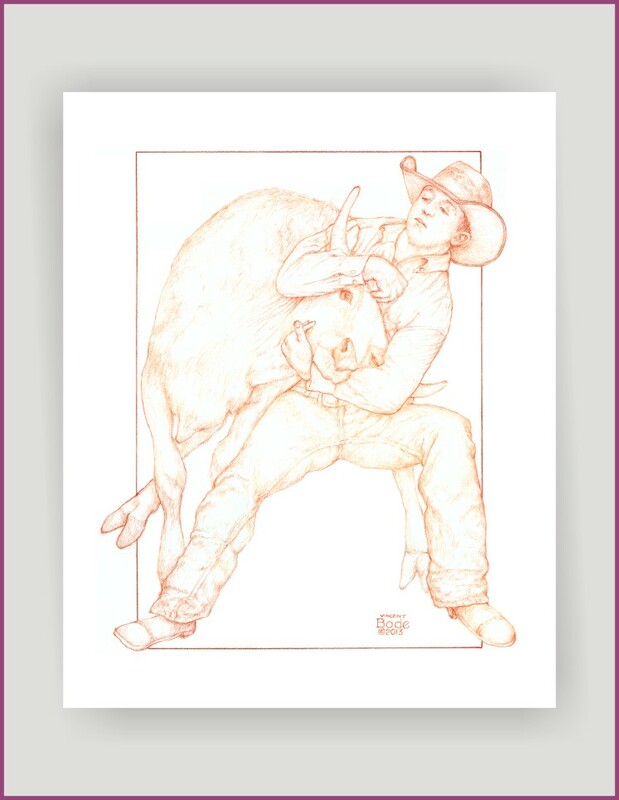 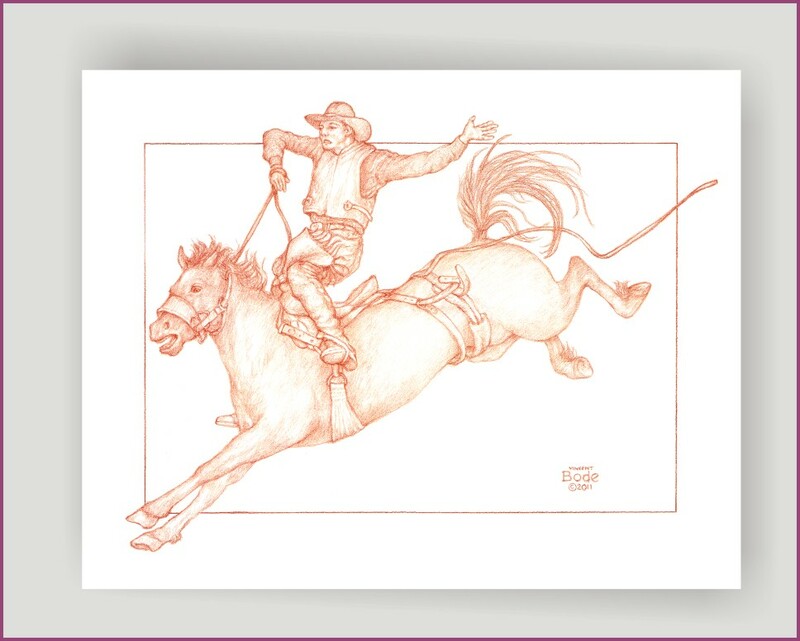 "Rodeo 7" 12x18 inch Terra-Cotta Drawing. 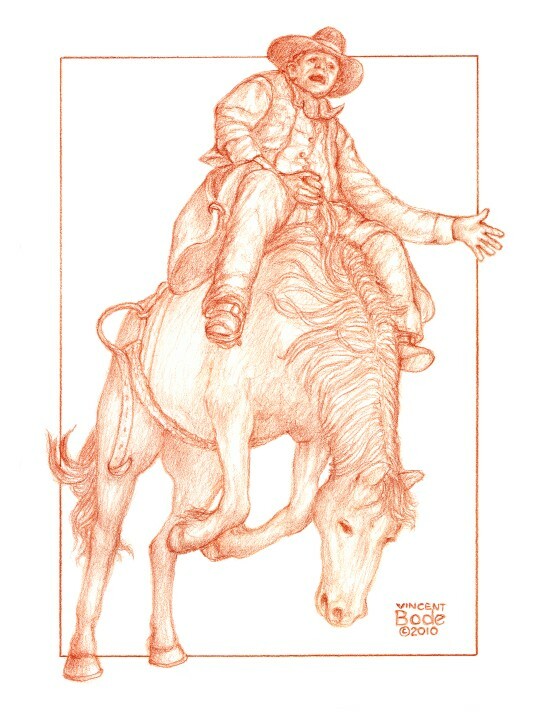 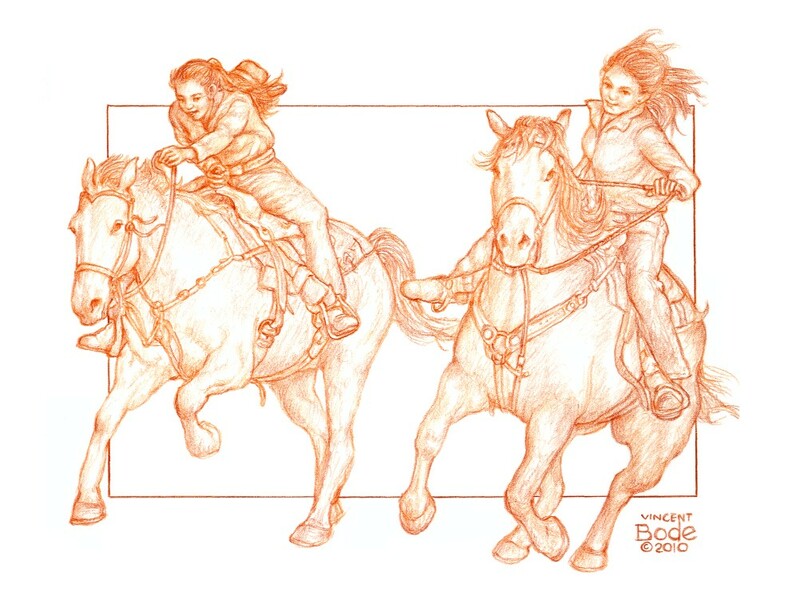 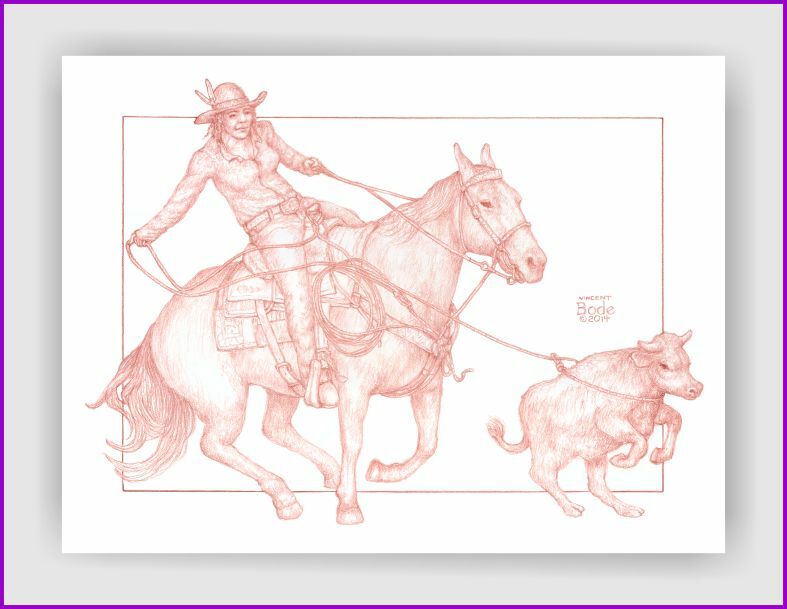 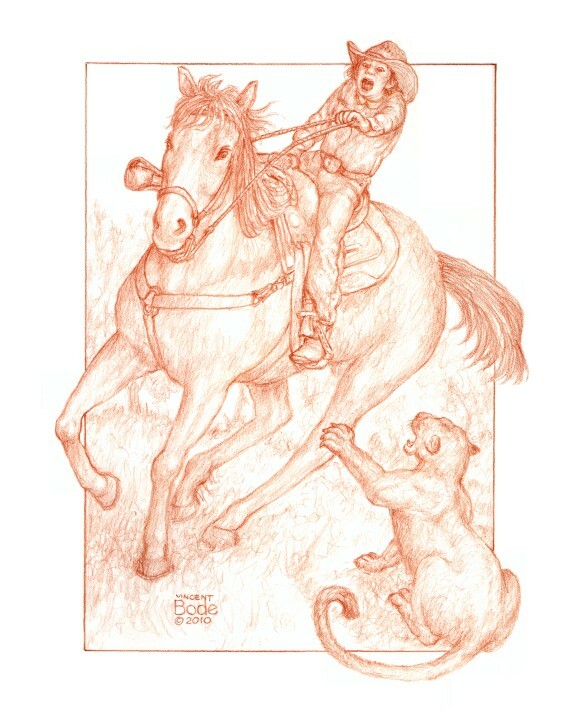 "Rodeo 6" 9x18 inch Terra-Cotta Drawing. 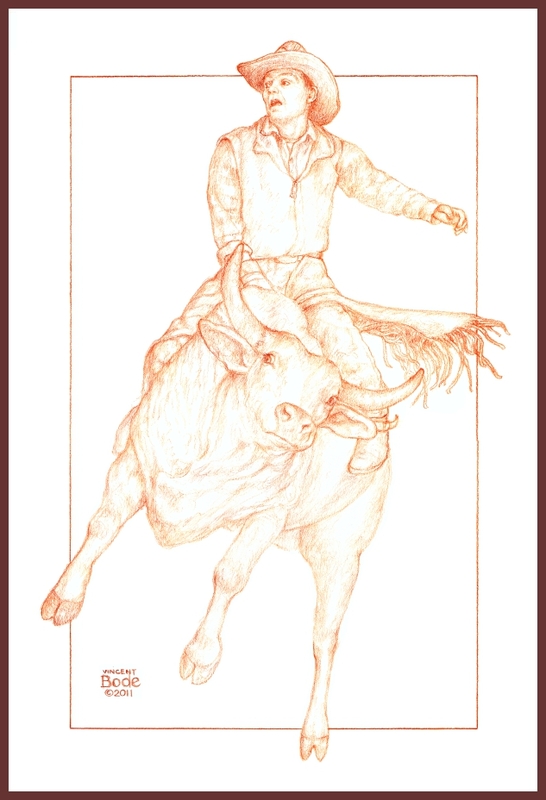 "Bull Man" 9x12 terra-cotta pencil drawing. 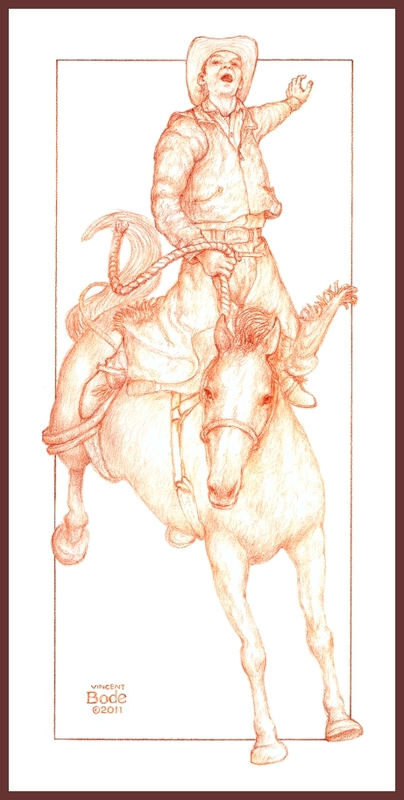 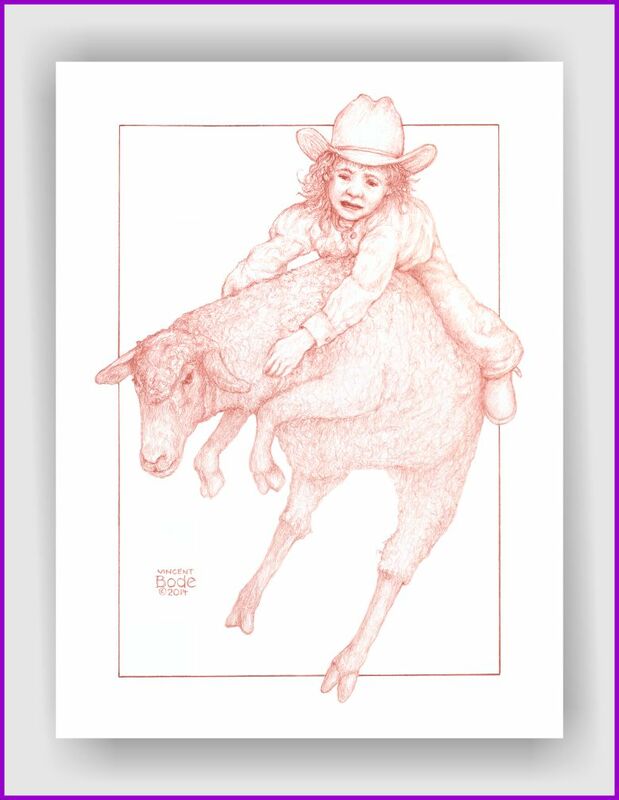 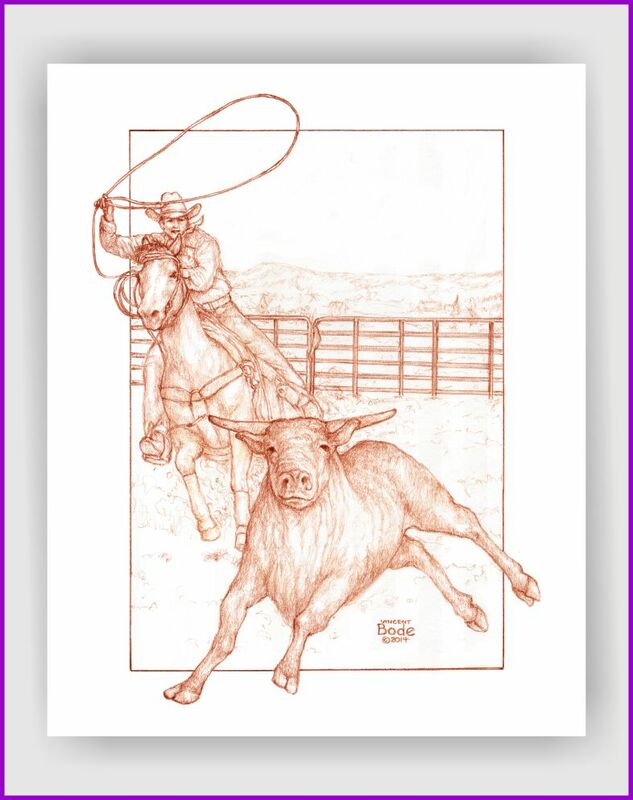 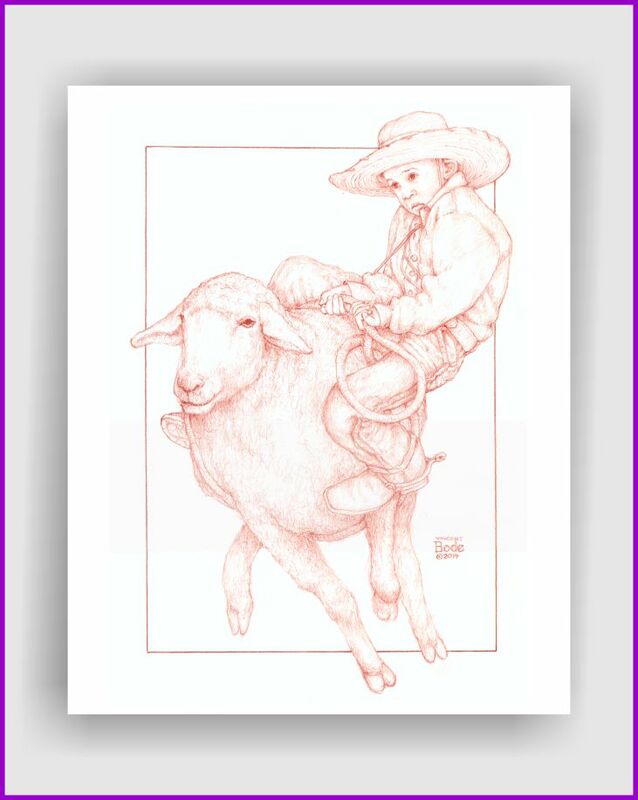 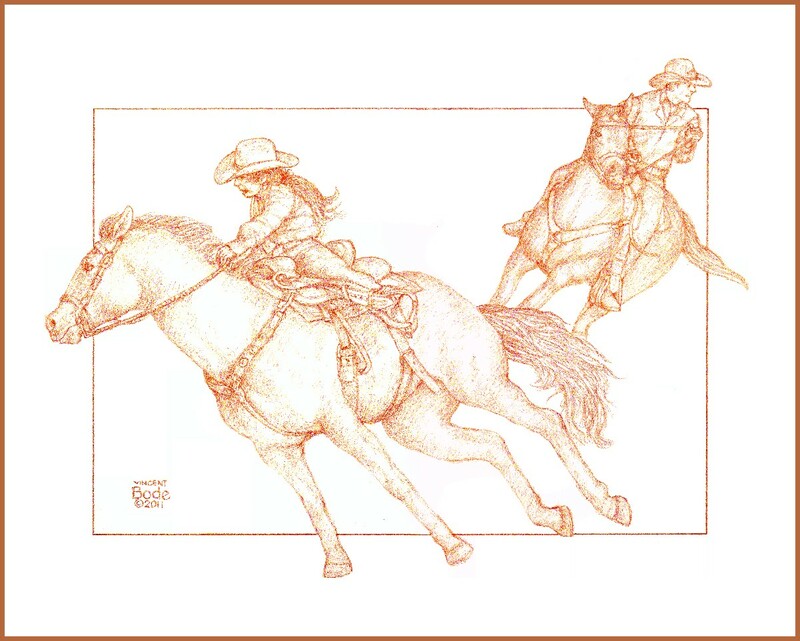 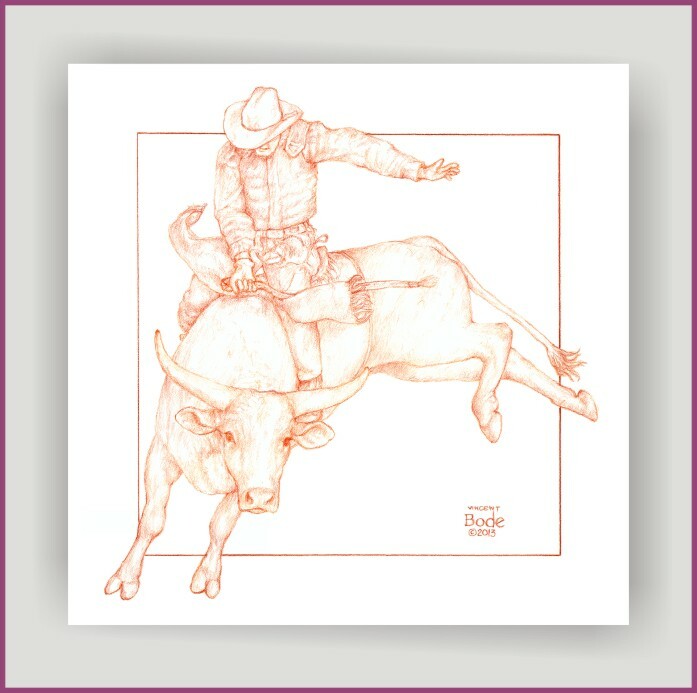 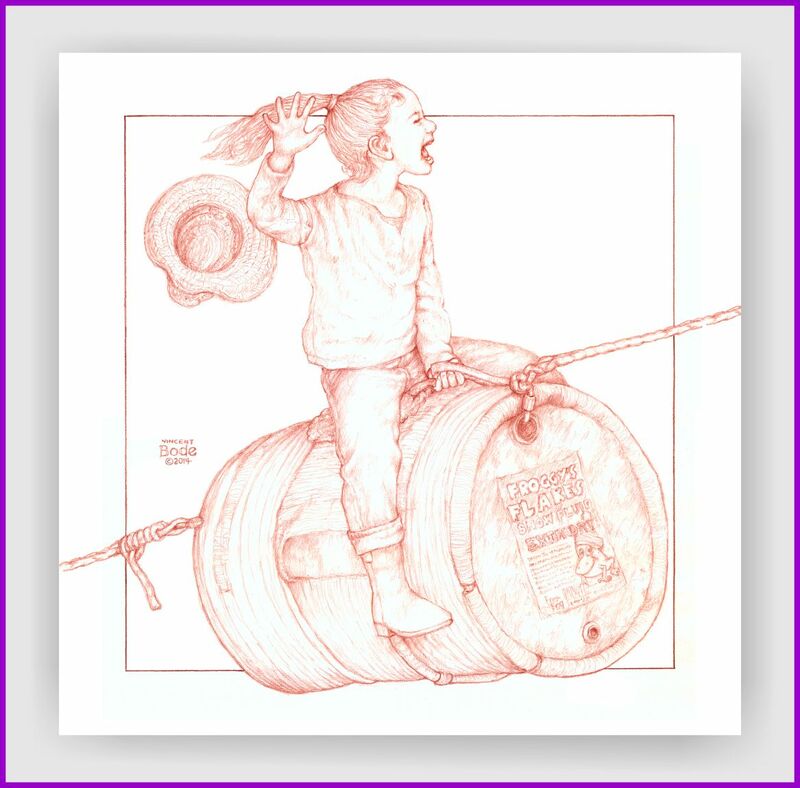 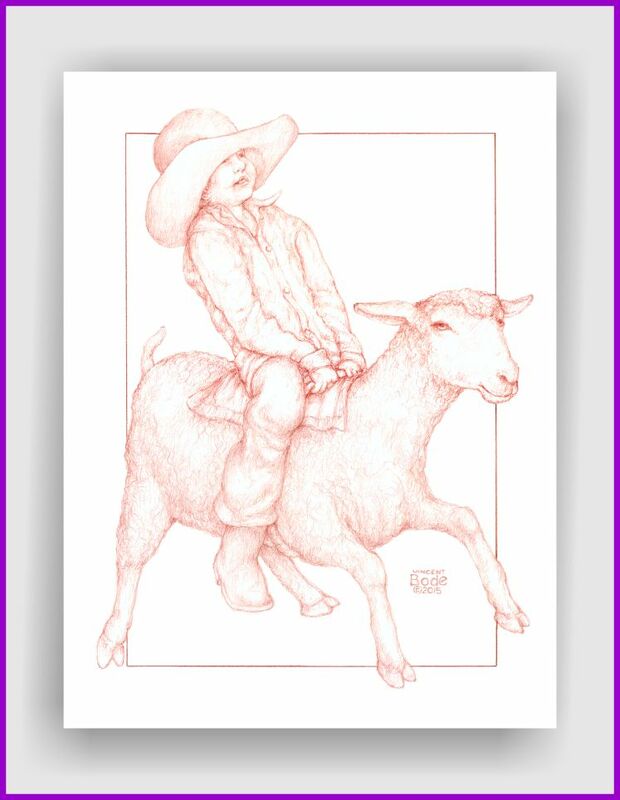 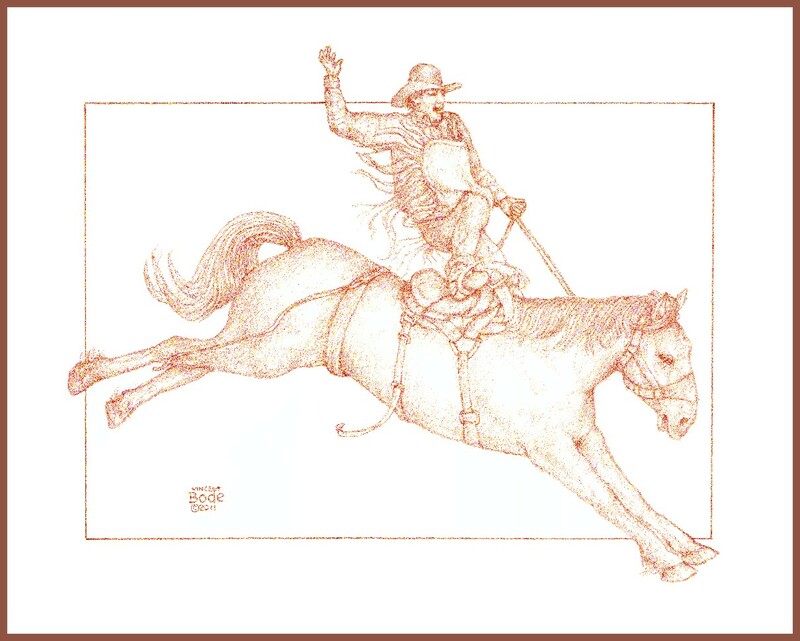 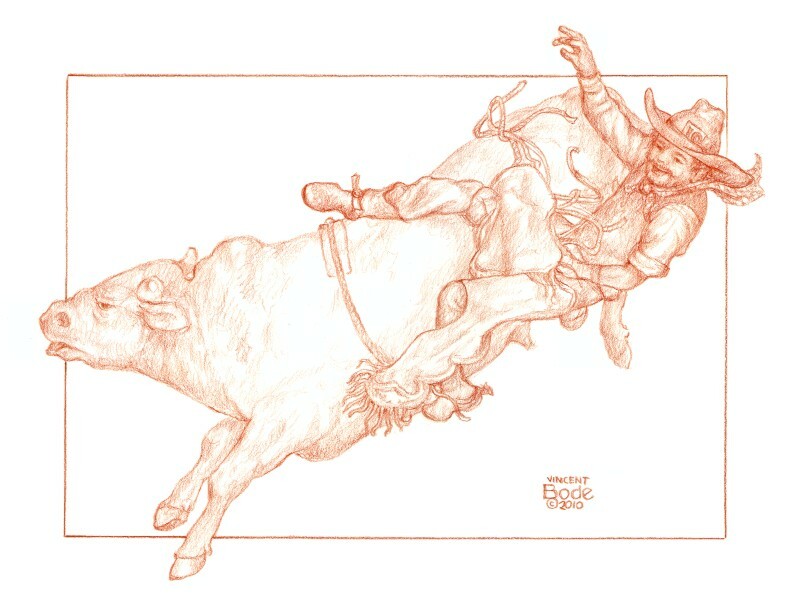 "Rodeo 8" 9x12 inch Terra-Cotta Drawing. 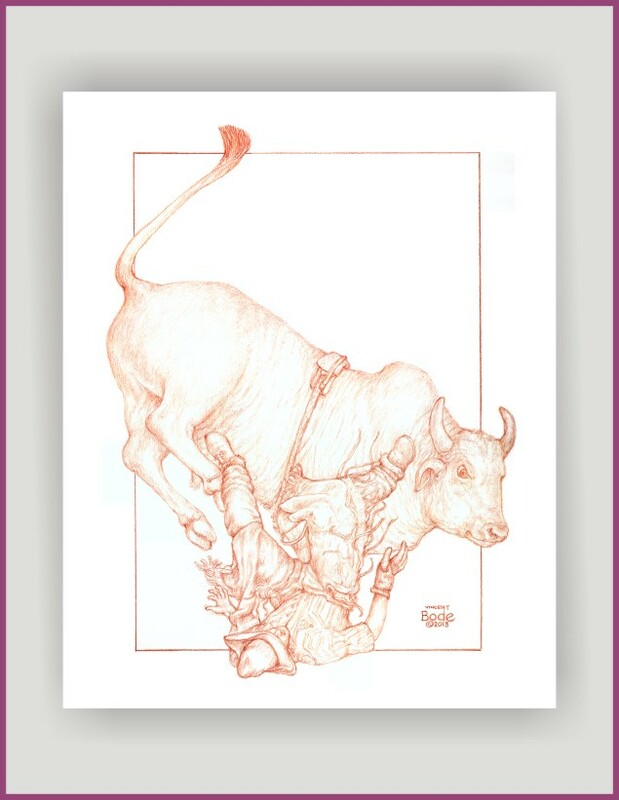 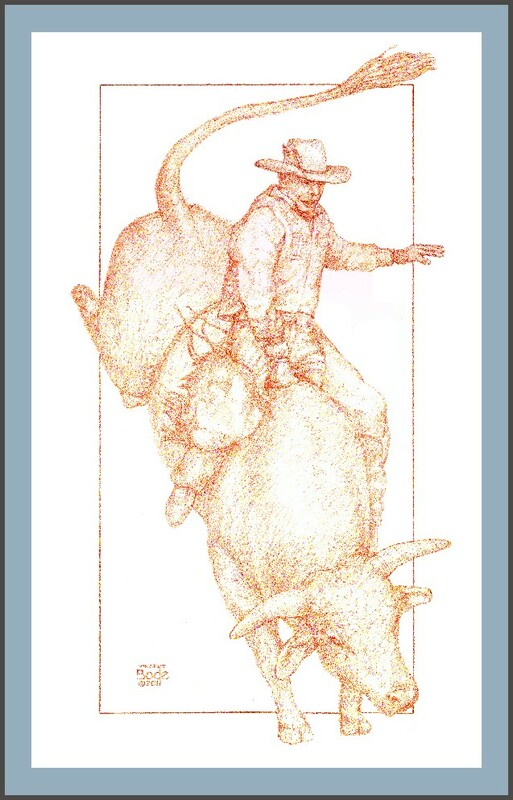 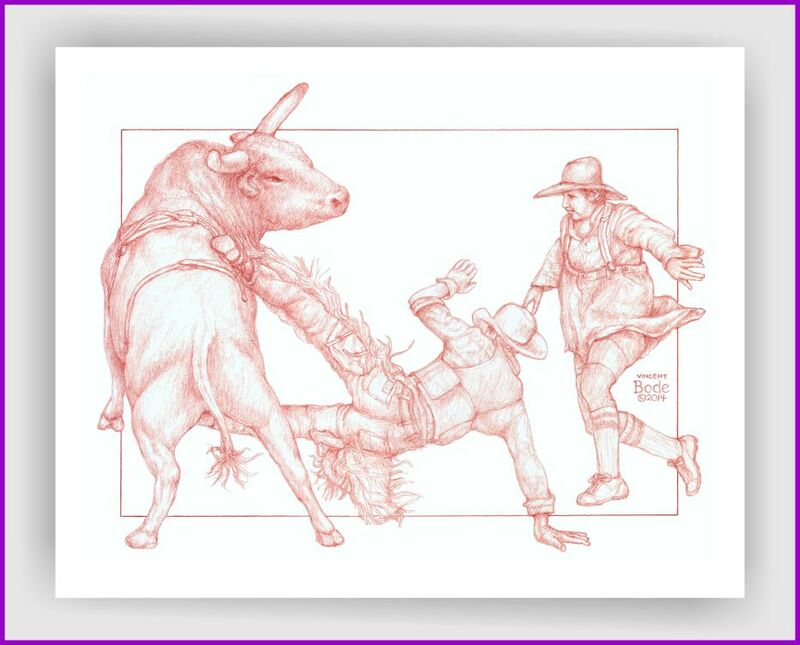 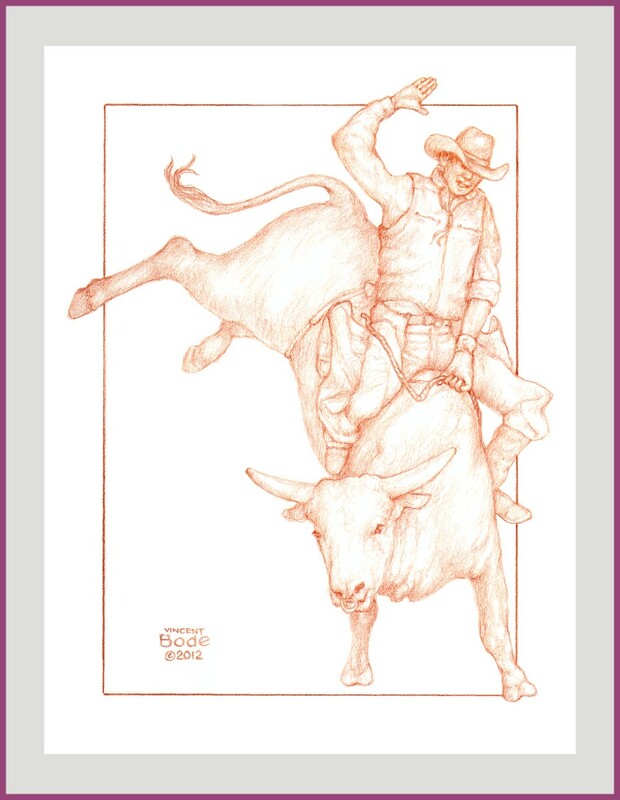 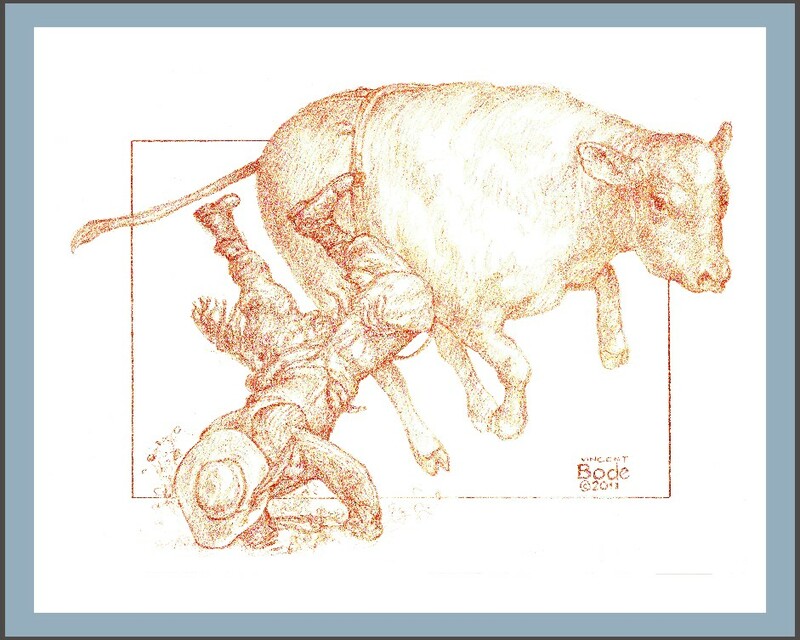 "Rodeo 9 (More Bull)" 11x19 inch Terra-Cotta Drawing. 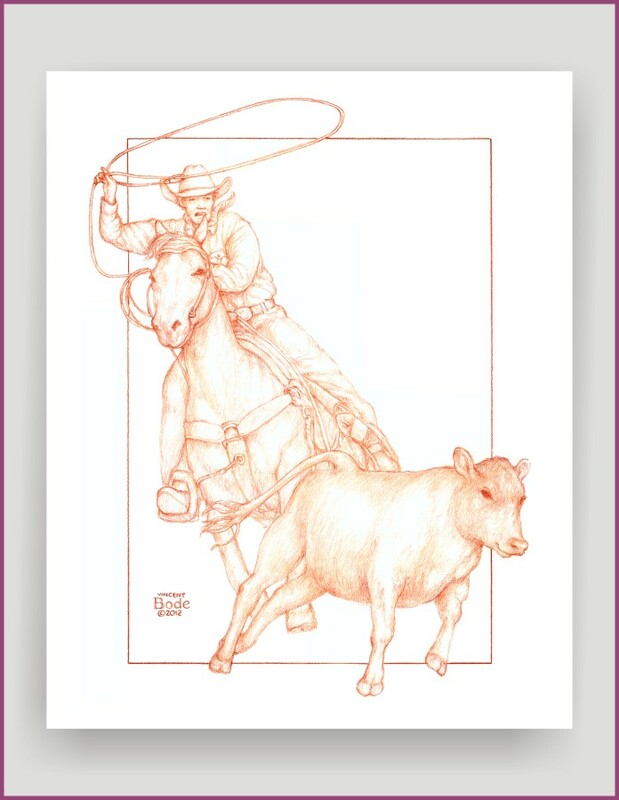 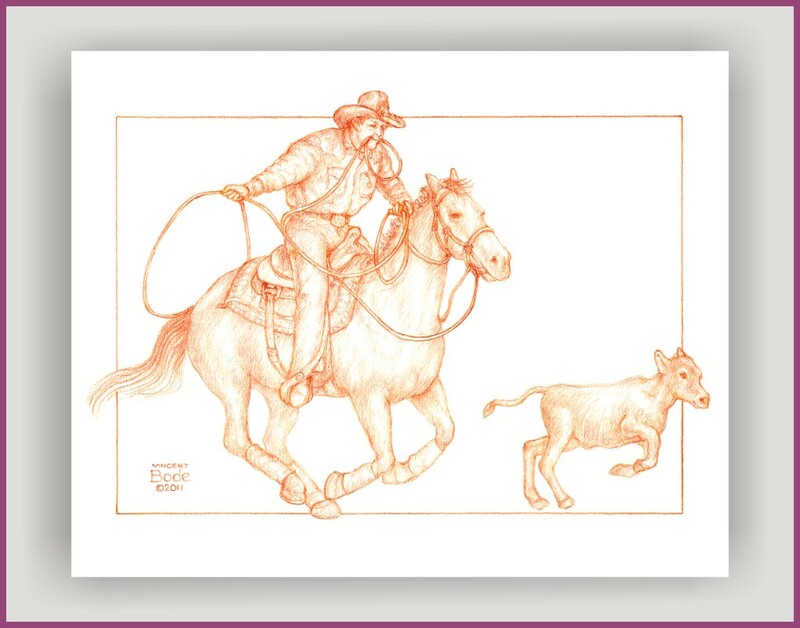 "Cow Roper" 9x12 inch Terra-Cotta Drawing.